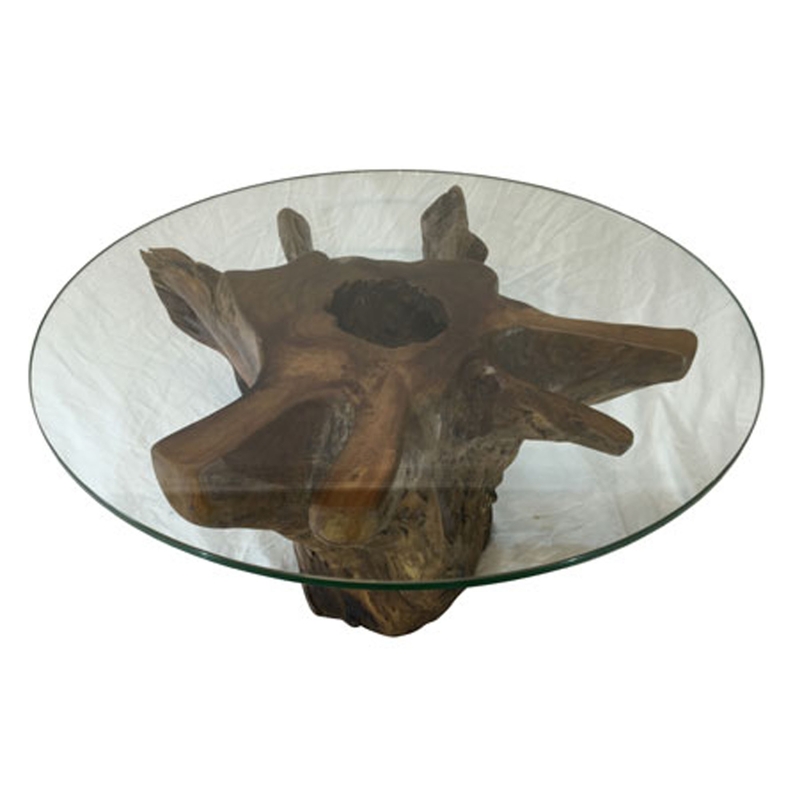 Add a contemporary style to your home by introducing this magnificent Teak Root Coffee Table Trunk Round With Glass. This piece has a beautiful design that'll be sure to grab attention and impress. The base of this piece is created from teak root. The base fits perfectly with the round glass surface.